RUNYON, Damon. Guys and Dolls. With an Introduction by Heywood Broun. New York: Fredrick A. Stokes Company , 1931. 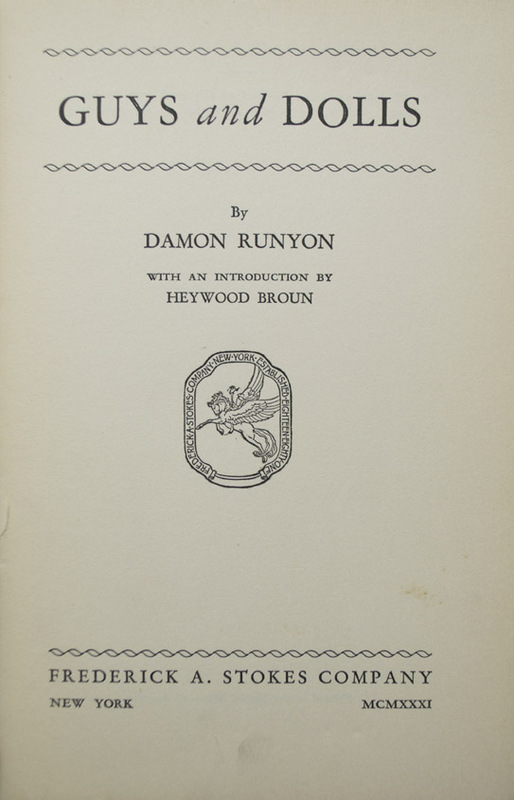 First edition of Runyon's collected short stories. Octavo (7 5/16 x 5 inches; 186 x 124 mm). xii, 313, [3, blank] pp. Original red cloth lettered in black on front cover and spine. Spine lightly sunned. Some minor rubbing to extremities and head and tail of spine. An occasional finger smudge, otherwise a very good copy. 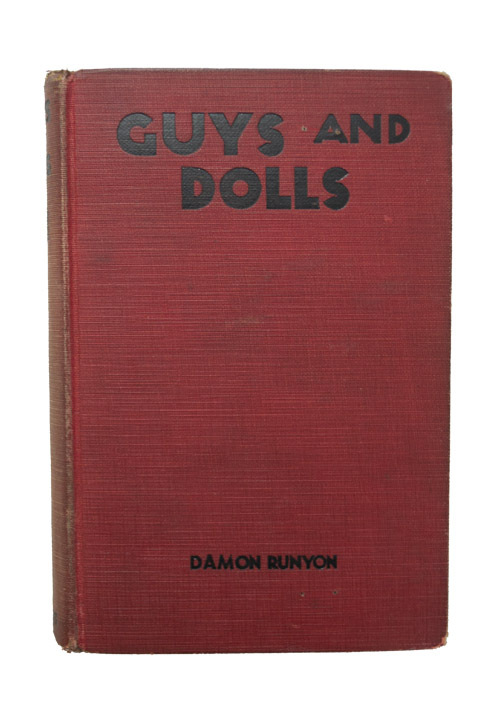 Damon Runyon was an American journalist and short-story writer. "In the 1920s Runyon habitually spent whole nights on Broadway nattily dressed, drinking coffee (upwards of forty cups a day), talking with cronies, and gambling. Home after dawn, he wrote, often moodily. He neglected his wife, and they separated in 1924. In addition to doggerel and quasi-editorials, his columns included more rehearsals for short fiction—featuring baseball players, racetrack bookies, boxers, chorus girls, con men, gamblers and gangsters, loan sharks, policemen, society swells, touts, westerners, and others....He started his Broadway stories with “Romance of the Roaring Forties” (July 1929, Cosmopolitan—starring columnist “Waldo Winchester”), and assembled one collection in Guys and Dolls (1931)." 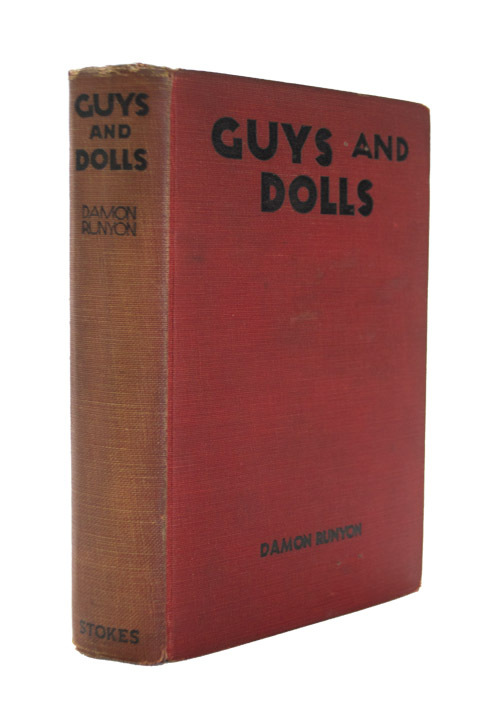 (American Dictionary of National Biography), Guys and Dolls, later became the basis of the popular Broadway musical of the same name and premiered in 1950.